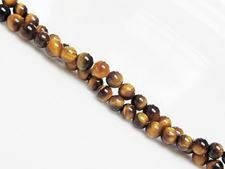 Tiger eye or tigers eye is a member of the micro-crystalline quartz family. 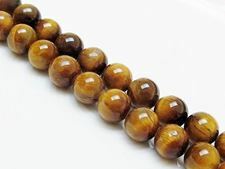 It is a metamorphic rock that has a golden to reddish brown color with a silky luster and is particularly appreciated for its chatoyance/shimmering. 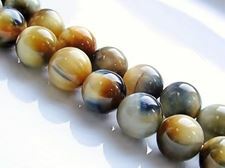 This 'cat's eye' effect is an optical phenomenon exposing a lighter band in the gemstone. 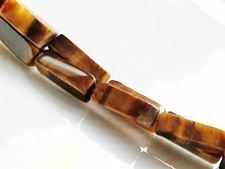 Tiger eye has a blue or grey-blue variant called Hawk's eye. 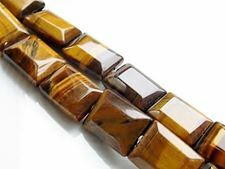 Tiger Eye was traditionally carried as a talisman against curses. 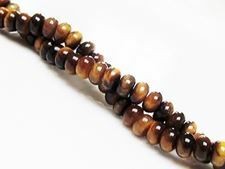 It assists in accomplishing your goals and activating your inner resources. 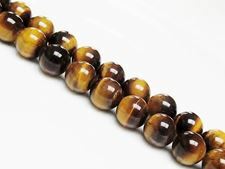 Pietersite or Tempest stone is the trade name for a Brecciated aggregate composed mainly of yellow to red brown tiger's eye and bluish grey hawk's eye. 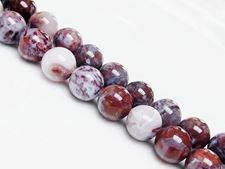 The Breccia or fragmentation is responsible for the patchwork pattern and the color variations. 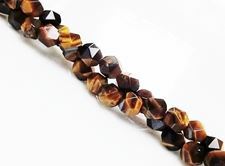 This gemstone was first found in Namibia, South-Africa and later in the Henan Province of China. 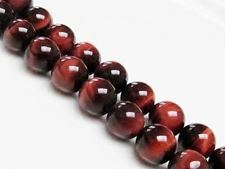 Pietersite is said to help to relax and to boost self-esteem.